The CareGiver Partnership: Family Caregivers -- Frustrated, Frazzled and Frantic. Here's New Help for You. Family Caregivers -- Frustrated, Frazzled and Frantic. Here's New Help for You. There's new help for the family caregiver. In a yearlong study of family caregivers conducted by The CareGiver Partnership in 2004, caregivers self-described themselves as being frantic, frazzled and frustrated. · Frantic because they are usually thrust into their caregiver role as the result of an emergency – such as a fall or stroke. · Frazzled because most are women who work full and part time. They may be juggling a job, a home and a family -- all while trying to provide care for a loved one. · Frustrated because finding unbiased and reliable information on how best to care for a loved one was challenging. · 50% of caregivers wished home health care products were easier to find with 37% reporting that selecting them is confusing. · 49% of caregivers report that it is difficult to find local resources. · 45% found that participating in online caregiver support groups and/or online caregiver communities is very helpful. 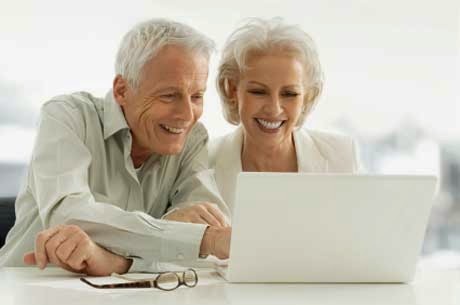 In the case of senior care, older adults and family caregivers at times hesitate buying for loved ones online. Most online sites lack the personal “touch and feel” that people want; a face-to-face encounter, a handshake, and real conversation. “That’s why we created our 1950’s style of customer service,” says Lynn Wilson, Founder of The CareGiver Partnership. “All calls are answered by the third ring, by a highly knowledgeable woman who knows caregiving products inside and out – and she’s had previous caregiving experience. That’s who our customers told us they’d prefer to speak with.” You can’t get help like that from anyone online at Walmart.com, Walgreens.com or Amazon.com. Senior care and aging-in-place decisions will continue to explode over the next 20 years. “Every day we wake up, there are 10,000 boomers turning 65” said Lynn Wilson, Founder of The CareGiver Partnership, a national retailer of home health care products. Caregivers are looking for real help from real people. A new family caregiver resource - SeniorCaregivingReviews.com provides expert reviews and recommendations of a range of homecare products and services from in-home care to walk-in bath tubs, from home modification to medical supplies and hearing aids to senior financial planning. Its purpose is to help family caregivers who are frantic, frazzled and frustrated and need unbiased, uncomplicated help – immediately. You access the network by setting up a free account. As of this posting date, you need a Facebook account to set up an account, an unnecessary step in the opinion of The CareGiver Partnership. **It is not necessary that you sign-up using Facebook, it just comes recommended to get the full experience of being able to network with friends, family and experts. You can opt to sign-up using your email address as well. Your private account allows access to both write and read free expert recommendations and education on senior home safety, independent living, senior health, financial planning, and more. As a member of the caregiving community, you will be able to comment on caregiving products and services you’ve had experience with. In this manner, you’ll be helping other members. You’ll have a sense of pride and giving back knowing that your experience is actually helping others who are dealing with issues similar to yours. SeniorCaregivingReviews.com helps caregivers share reviews and comments, preventing seniors and others ­from making the same purchasing mistakes. Further, the resource builds confidence in identifying the products and services that match specific challenges that families face. These complicated decisions are made easier through the facilitation of communication between users, experts, and those searching for solutions on the site. Being able to review what others say about a company, their goods and services, and consult reviews prior to purchasing. Gathering information from mixed sources: a company website, online chats with a salesperson, and consult friends and family for purchasing decisions. By being able to review the number of ‘likes’ or ‘follows’ on Facebook and Twitter. Identifying companies with a strong customer service reputation; leading your way to all-around satisfaction. Being able to compare prices, service and selection. Doing your own comparisons and not just relying on people when they explain why they did or did not purchase a particular product or service. They might not know themselves. Knowing the identity, location and contact details of the online retailer and the level of customer service they provide. Reading recommendations from experts, become educated, read honest reviews, and leave advice that others can use. Finding guides and education to help in your decision making process. Gaining certainty with buying decisions.